Los Nogales is a 30-hectare estate located between 1450 and 1650masl. It is split into three subplots and we’ve selected coffee from the El Roble plot. This plot of land is planted with three varietals, Bourbon, Sarchimor and a Bourbon Pacas hybrid. This small micro-lot was harvested from the Bourbon Pacas hybrid trees and dried on raised African beds. The hand sorting and harvesting of this lot were done to a very high standard resulting in one of the best natural processed coffees we’ve come across over the last few years. You can expect amazing fruity flavours, there are almost too many to list but the ones that jump out for us are blueberry, parma violets and a range of dried fruit. 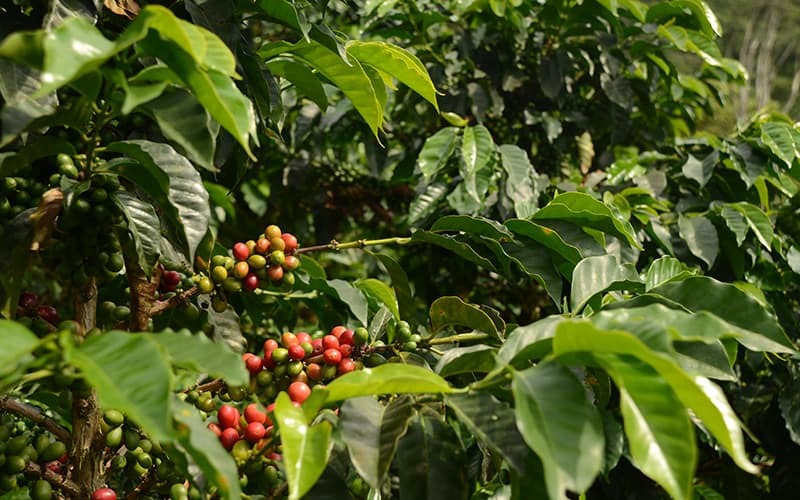 The Los Nogales estate in the Apanaca Llamatepec region of El Salvador is a very special farm. 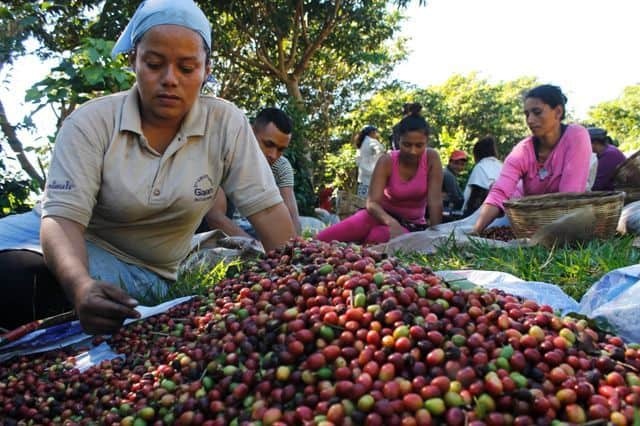 Launched by the farm’s owners, the Salaverria family, Project Nogales is a unique opportunity through which buyers are invited to chose their coffee by the plot of land, process, and variety. Horsham Coffee Roasters began their journey through a stall at the Horsham food market, in the heart of Sussex and, of course, it became their namesake. Bradley and Amelia, the brilliant minds behind Horsham Coffee Roasters first visited Rwanda in 2014 and over the last few years, they have developed some very close relationships. Every year they visit Bwishaza co-operative, a group of around 500 farmers who produce fantastic coffee for the company. 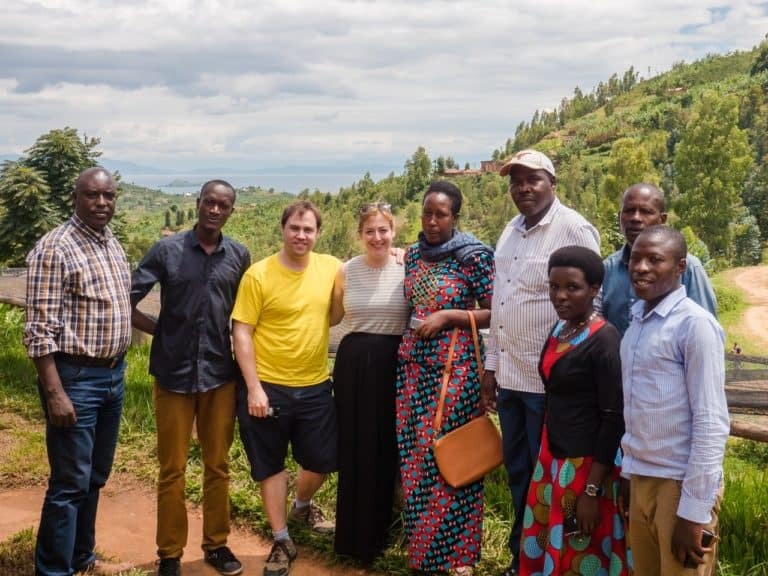 Both Amelia and Bradley, as well as their team are committed to supporting these Rwandan coffee farmers with an open and transparent working relationship and ensuring that they are paid a fair price for their work and their products. To experience full flavoured coffees like El Roble blend, be sure and sign up for a Blue Coffee Box Subscription. Click here for more details and to find out how you can get your first box!